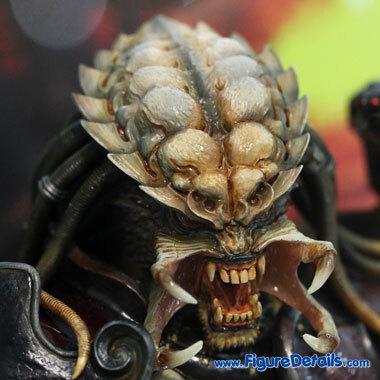 - Samurai Predator are designed and painted by Takayuki Takeya and sculpted by Yuji Oniki. 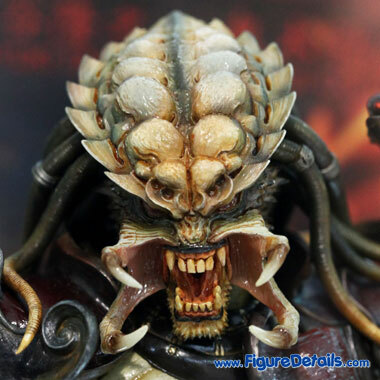 - Extendable Alien tongue trophies on waist. 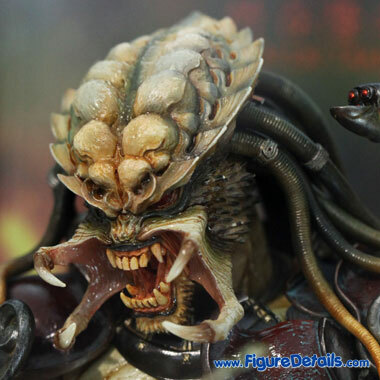 - A diorama base featuring the Alien's corpse and broken sword piece. 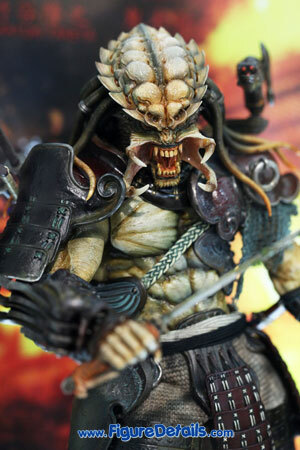 Here I show you the photos of Samurai Predator Action Figure that is now displaying in the Hot Toys store. 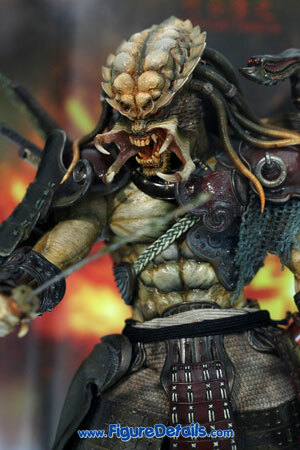 Samurai Predator is the first Artist Collection from Hot Toys. 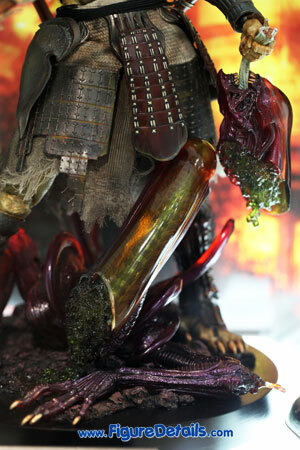 From my point of views, the most special of this action figure is that it is designed and painted by Takayuki Takeya and sculpted by Yuji Oniki. 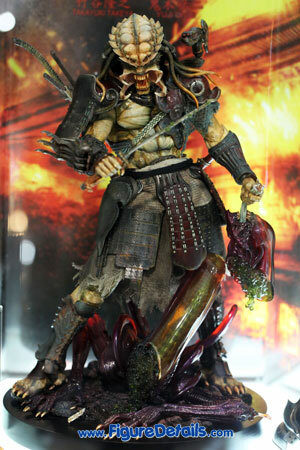 Takayuki Takeya is one of the most famous action figure desiger in Japan. 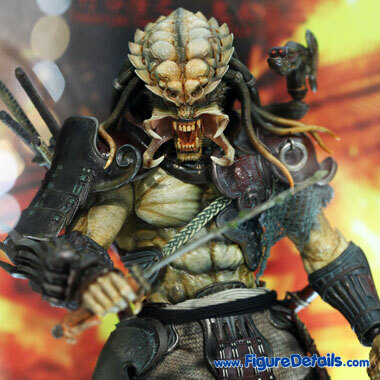 So, you can see the style of this Samurai predator has a big different when compare wiht the previous Hot Toys predators.